Amazing! Love all your recipes I have tried. Thank you so much Missy for the wonderful 5-star recipe review! I am so happy that you enjoyed the banana bread and the other recipes you have tried. Thank you again! I want to add grounded up walnuts to this. Would I need extra egg or something?? I will be using more walnuts then just to flavor it. Thanks. Hi Cathy! I have never added ground walnuts to the recipe. I’ve just added mixins like nuts and chocolate chips to add flavor not for texture. If you try it please let me know how it works out. Thank you! This recipe allows my daughter to have banana bread, again! It tastes delicious! Thank you so much Liv for the wonderful 5-star recipe review! I can’t tell you how happy it makes me that you and your daughter enjoyed the banana bread. You are so welcome, I love sharing what I make for my family. Than you again! Can I use stevia in place of sugar and applesauce in place of fat, four egg whites instead of two whole eggs? Hi Toni I have never tried this recipe with stevia. I don’t think the apple sauce will work because it may make the bread too wet as the apple sauce acts like the bananas in quick breads. You could maybe try coconut oil instead of the butter. I’ve never tried just egg whites either. 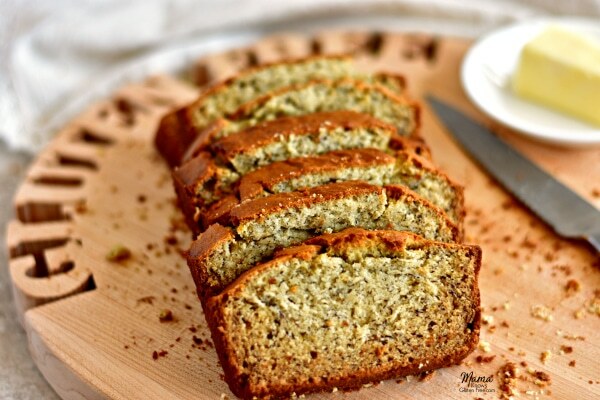 Hi, this banana bread is DELICIOUS and VERY EASY!!!. Just a question… I would like to prepare it with regular flour. Should I’ll go through the same steps… just not addind the xanthan gum? Hi Consuelo! Thank you very much for the 5-star recipe review. I am so happy that you enjoyed the banana bread and found the recipe easy to follow. You should be able to make this with regular wheat flour, yes just leave out the xanthan gum. Thank you again! This banana bread turned out amazing and was so easy! Will definitely be making again. Thank you so much Tiffany for the wonderful 5-star recipe review! I am so happy that you enjoyed the banana bread. Thank you again! Very easy recipe and the results are delicious!!! Thank you so much Amy for the wonderful 5-star recipe review! I am so happy that you enjoyed the banana bread and found the recipe to be easy. Thank you again! 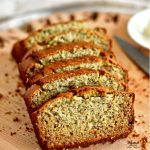 This is the best gluten free banana bread recipe I have found! It is completely satisfying and needs no butter on top to make it good. It stands on its own! Thank you! Thank you so much Randi for the wonderful 5-star recipe review! I am so happy that you enjoyed the banana bread. You are so welcome, I love sharing what I make for my family. Thank you again! Hi Ashley! I have never made the bread with honey before, but I have used 1/2 cup of pure maple syrup. If you try it with the honey will you please let me know how it turns out? I hope your daughter enjoys the banana bread. Thank you! What does the xanthan him do for the mix. Could I just use almond flour without the xanthan gum? Hi Morgan! This recipe is for a rice flour blend. Almond flour will not work the same in this recipe. Xanthan gum helps to replace the elasticity and texture of gluten. I do have muffin recipes that use almond flour that you might to try. Here is the link to the Paleo muffins that use almond flour. Please let me know if I can help in any way. Can I use Bob’s Red Mills 1 to 1 baking flour as I can’t get Pillsbury gf flour where I live for the banana bread recipe? Hi Karen! A lot of my readers use the Bob’s Red Mill 1 to 1 gluten-free flour with my recipes. I have not test baked with the Bob’s Red Mill gluten-free with this recipe, but it should work well for the banana bread. I order the Pillsbury gluten-free flour from Walmart for less than $5 for a 2lb bag. Here is the link if you would like to take a look. I hope you enjoy the banana bread! The recipe was so easy to follow. I used all the same ingredients except I replaced butter with coconut oil and Bobs Red Mill 1 to 1. The bread came out so yummy. Thank you so much Vonda for the wonderful recipe review! 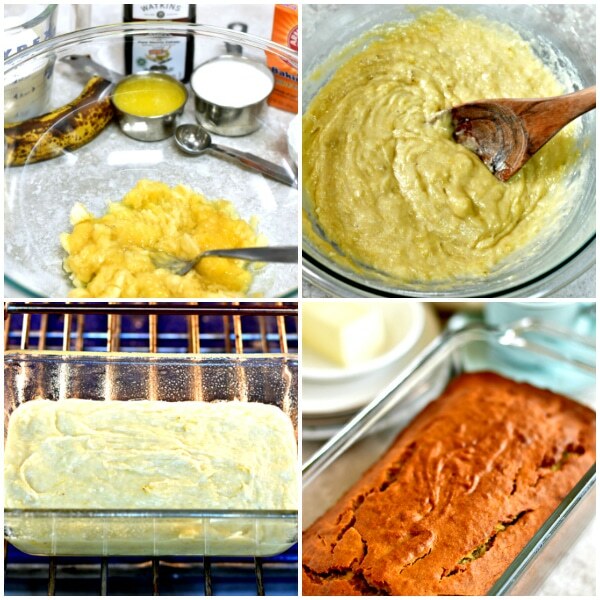 I am so happy that you enjoyed the banana bread and found the recipe easy to follow. I have made the recipe with coconut oil also. Thank you again! So excited to try this recipe with my family! Would it be possible to still make the bread but in cupcake tins? Does that change anything for baking time? Hi Elisa! Yes you can make this recipe into banana muffins. You will need to decrease the baking time to 15-20 minutes at 350 °F. I hope you enjoy them! Definitely keeping this recipe saved! So easy to make and delicious!! Absolutely enjoyed it!! Thank you! Thank you so much for the wonderful 5-star recipe review! 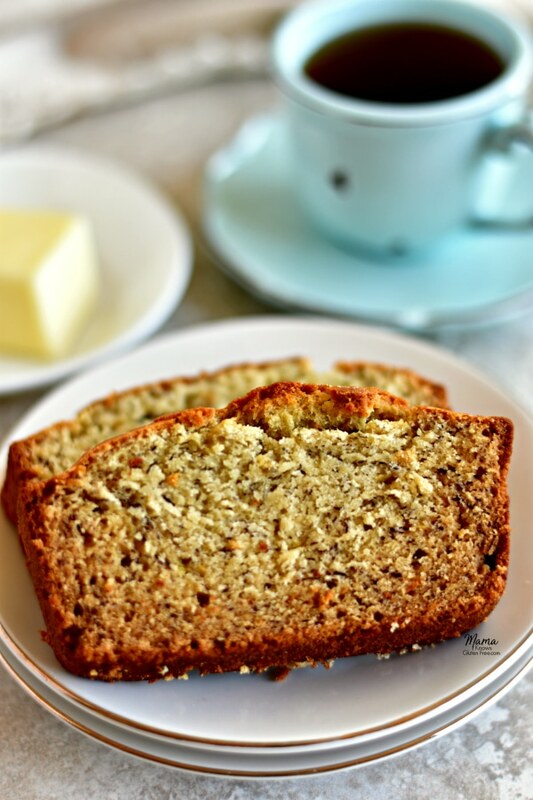 I am so happy that you enjoyed the banana bread and found the recipe easy to follow. You are so welcome, I love sharing what I make for my family. Thank you again! Hi, can I use Brown rice flour n tapioca flour to replace the ready made flour as I prefer to mix my own flour blend. Also what flour can i use to replace xanthan gum. Hi Helen! I have never tried brown rice flour or tapioca flour with this recipe. A substitution for xanthan gum is guar gum. I hope you enjoy the banana bread! You are so welcome, I love sharing what I make for my family. 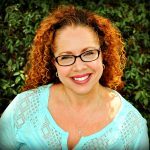 So thrilled to have discovered your site! My 7 yr. old grandson was so disappointed when he learned he could no longer have “Meema’s” homemade banana bread. Your recipe has made a little boy and his Meema very happy! Thank you so much. That makes my heart so happy to hear Pat! You just made my night! This is the whole reason I started my blog, was to help others. Thank you so much for the wonderful 5-star recipe review. I am so happy that you both enjoyed the banana bread. You are so welcome, I love sharing what I make for my family. Thank you again! This was yet another fabulous recipe! I made the Kentucky pound cake and it was a hit, that I looked for more recipes to use in my classroom. I found this one, and I tried it yesterday with my students. It was a hit! Instead of using 1 loaf pan, I used 12 mini loaf pans so that my students could take some home and so it would reduce the baking time. It was so nice to be able to make something delicious and gluten free so that ALL of my students could enjoy. That makes my heart so happy to hear Jen! You just made my day. I am so happy that your students enjoyed the banana bread. I’ve not tried making mini loaves, but I need too because my kids would love it that way. Thank you so much for the wonderful 5-star recipe review! This is amazing by daughter didn’t care for it. She is the only one in the family that has celiac disease. She is very picky and wants feeling well this weekend. But the whole rest of my family did at our Easter get together. They said they could even tell it was gf. Thank you so much Clarissa for the wonderful 5-star recipe review! I am so happy that your family enjoyed the banana bread and said they couldn’t even tell it was gluten-free. I am sorry to hear your daughter was not feeling very well. I hope she feels better quickly. Thanks again!